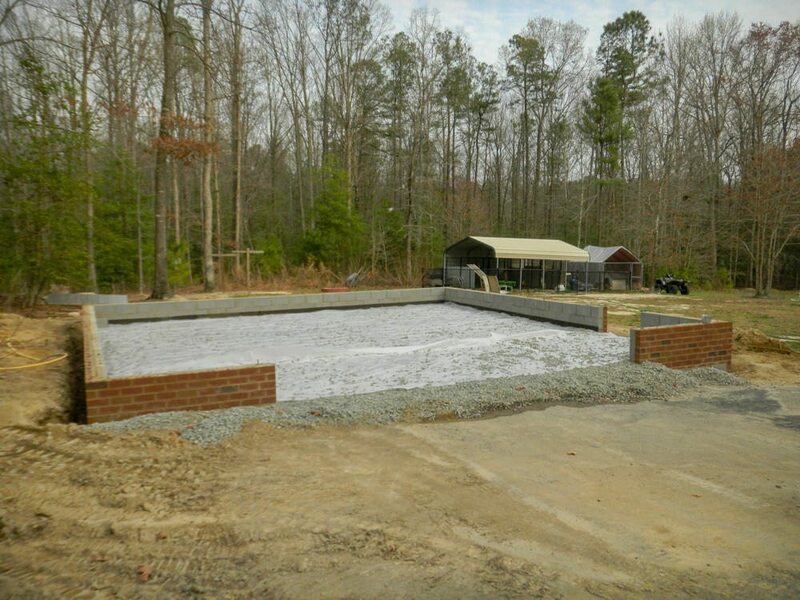 Here are a few more photos of a new 28′ x 28′ Garage foundation i Chesterfield Co.The foundation consists of 8″ base block followed by a 4″ block above grade with a brick veneer. Lawrenceville brick were used for the veneer with Roanoke type S mortar. 18″ galvanized anchor bolts are installed according to the Va statewide building code. Slab prep included 32 tons of #57 stone that was placed at a 4″ inch thickness. A 6 mil poly vapor barrier was install on top of gravel to control moisture migrating thru new concrete slab. 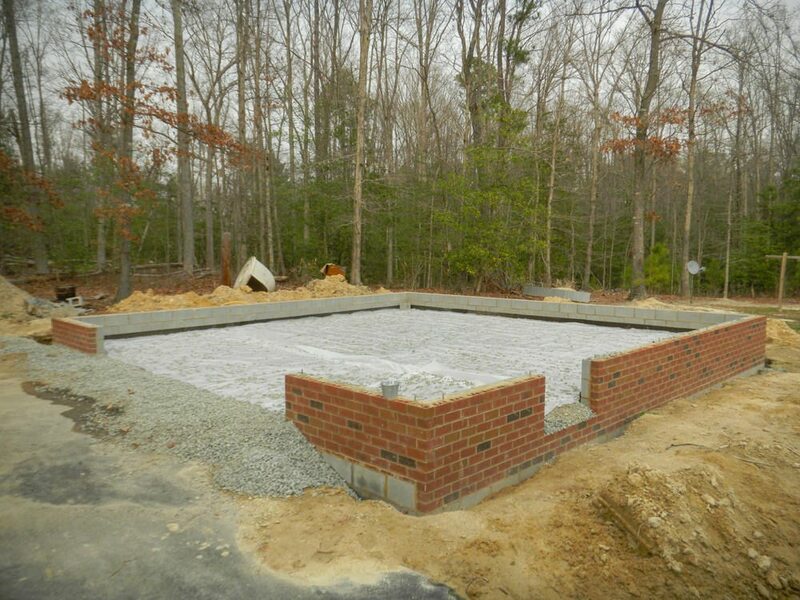 We will only be providing the ground work (footings, foundation and concrete slab) for this project. The home owner will be building the remainder of this garage which will have a finished space above.